With a $20 million venture capital infusion for their mini-grids, Husk Power Systems is pressing forward with its mission to electrify rural communities, much like the one in India where the company’s founder grew up. From new headquarters in Colorado, the 10-year-old company is advancing a mini-grid technology that uses organic agricultural waste, solar energy and battery-based energy storage. The technology is set to undergo intensified research and development thanks to the recent equity backing from Shell Technology Ventures, Swedfund International and Engie’s impact investment fund. 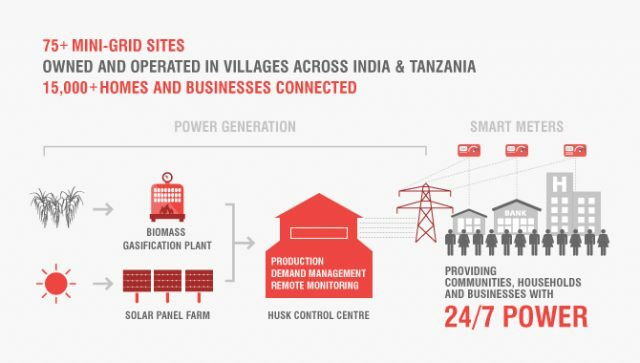 Husk Power’s systems are already up and running at 75 sites in India and Tanzania, Africa. Solar photovoltaic arrays generate electricity for use during daylight hours. Lead-acid battery systems store some of that for emergency, back-up use, said Husk Power’s CEO and Co-founder Manoj Sinha in an interview. The projects rely on organic refuse from agriculture, more specifically, rice husks and corn cobs, as feedstock to fuel biomass gasification and power generation. That gives Husk’s renewable energy mini-grids the ability to source feedstock from local resources that often wind up as waste. It also makes them able to generate continuous baseload electricity in the evenings. Each Husk Power mini-grid serves about 300 customers, who pay for the energy services they receive via mobile pay as you go electronic payment systems. Smart meters monitor and track usage, providing rural residents and businesses access to affordable, emissions-free electricity. 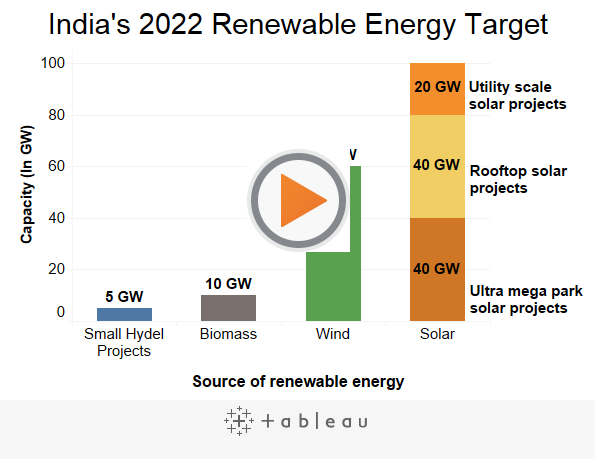 An estimated 30 GW of distributed solar, energy storage and microgrid opportunities are shaping up across India as the majority Bharatiya Janata Party, which is led by Prime Minister Narendra Modi, looks to realize a pledge to improve grid services and achieve universal energy access in 2019, according to Bloomberg New Energy Finance. Husk Power plans to build more than 300 more mini-grids in India and Africa over the next four years, about two-thirds of them in India and one-third in Tanzania, Sinha said. All will rely entirely on local solar and organic biomass. “We see Husk as a leading player providing reliable and affordable energy to off-grid and weak-grid communities in India and Africa and we believe they have a very credible business model,” said Brian Davis, vice president, integrated energy solutions for New Energies at Shell. Husk’s new mini-grids will be located in Indian and African villages that rely on diesel, other fossil fuels. or more traditional local biomass for power. All told, the 300 rural mini-grids Husk plans to deploy will have a combined generation capacity of some 15 MW. In addition to providing reliable, affordable, green energy, the mini-grids will avoid 15,000 tons per year of carbon dioxide emissions, according to Husk Power’s estimates, while providing power for 100,000 customers who do not have access to a utility grid. 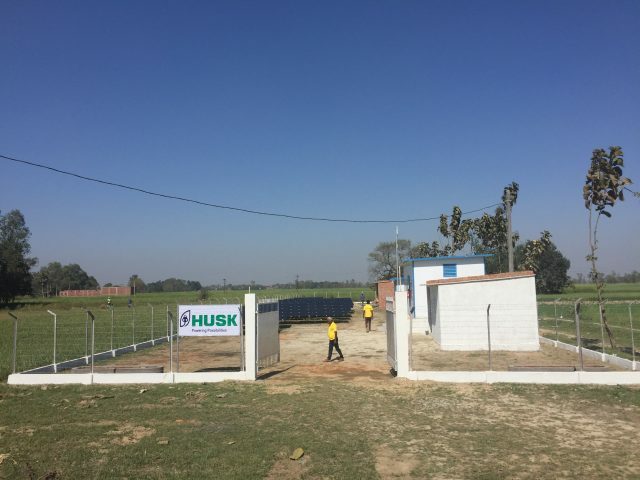 The roots of Husk Power’s efforts stretch back to Bihar, India, a primarily rural, under-developed and under-served state in northeastern India that borders Nepal. Looking to give something back to the communities in which they were born and raised, Sinha and two former undergraduate schoolmates developed two renewable energy mini-grid projects there before deciding that such efforts merited launching a business. Bihar state is home to some 110 million Indians, many of whom rely on subsistence and cooperative village agriculture for their livelihoods. Many villages lack access to grid power. “Back then [in 2008], even suggesting building renewable energy mini-grids as a business model was generally considered ridiculous, or foolhardy,” Sinha recounted. Two successful mini-grid projects later, Husk Power attracted the attention of the Indian news media, as well as the New York Times, which brought nationwide and international attention. Sinha and Husk believe their mini-grid system design and configuration can be applied more widely, even in urban environments. From its new headquarters at the Powerhouse Energy Campus within Colorado State University, Husk Power will now have the opportunity to explore this vision as it collaborates with researchers spanning the physical and social sciences. Colorado’s Front Range is home not only to CSU’s Energy Institute, but also the federal National Renewable Energy Laboratory (NREL). 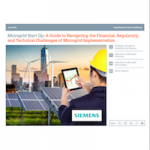 Join Microgrid Knowledge in Chicago, May 7-9, for Microgrid 2018: Markets and Models for the Greater Good.